In addition to hallmark services like dental implant placement and wisdom tooth removal, Dr. Moreland is always happy to assist patients with a wide spectrum of other oral surgery needs. 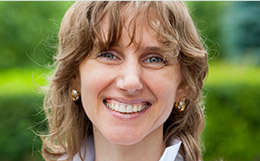 These transformative care options can help you regain your smile’s ideal appearance, form, and function at the same time. You may even find that your quality of life is reinvigorated too, from your ability to eat your favorite foods to feeling confident in professional and personal settings. We invite both referring dentists and individual patients to contact us today in St. Louis, MO to schedule an initial consultation. Contrary to popular belief, the third molars (“wisdom teeth”) aren’t the only teeth that can become impacted (trapped within the jawbone). Your canines are also susceptible to this dangerous condition — and unlike wisdom teeth, these teeth play a crucial role regarding both the function and aesthetics in a patient’s smile. If your teenager’s canines have not erupted properly by the age of 13, Dr. Moreland may recommend a consultation so that he can assess their current development. In most cases, he will collaborate with an orthodontist to perform tooth exposure and bracketing, which helps the tooth or teeth finally reach their proper, healthy position. While some facial concerns are caused by natural development or congenital defects, others happen in the blink of an eye — car crashes, sports injuries, and other sudden damage can lead to the need for fast emergency care. Dr. Moreland has extensive experience with treating a wide variety of situations involving facial trauma, and he will strive to accommodate your particular case as soon as possible, providing sutures, tooth reimplantation, and more. A malocclusion occurs when the jaws don’t fit correctly together, whether because of varying rates of development, congenital defects, or injuries. 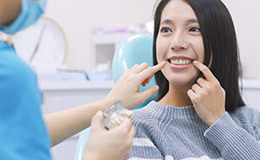 While orthodontic appliances may be capable of treating milder symptoms, orthognathic (jaw) surgery may be the best method for improving your oral function and confident smile. Every surgical plan is painstakingly designed by Dr. Moreland for each patient to yield the highest rates of success, and it may be performed in conjunction with orthodontic treatment to deliver the best results. If needed, Dr. Moreland can perform a biopsy by removing portions of the abnormal tissue and testing whether it is malignant in nature. An apicoectomy is more commonly referred to as a “surgical root canal.” It is usually recommended when a patient is experiencing significant pain and/or sensitivity in a natural tooth that has already undergone traditional root canal therapy. Dr. Moreland can review the area of the mouth with digital X-rays and identify any new cysts/infections that require intervention. Our goal is to alleviate swelling, discomfort, and other dangerous symptoms so that a patient can return to their regular routine as quickly as possible. 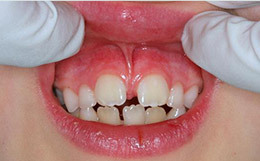 There is a small attachment of muscle in the body that either connects the gum tissue to the lip or the tongue to the floor of the mouth — this is known as the “frenum.” If you or your child’s frenum is overly thick, tight, or otherwise dysfunctional, a frenectomy can be performed to relieve stress on the surrounding muscles. Dr. Moreland will numb the surrounding tissue with local anesthetic and then carefully eliminate the overly restrictive tissue with specialty instruments. 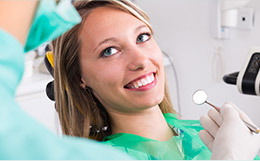 In most cases, healing occurs quickly and without the need for sutures. Cleft palate and cleft lip are two developmental conditions that occur when a baby is still within the womb. 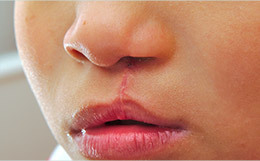 A patient has a cleft lip when the two sides of their upper lip are separated, while a cleft palate is a noticeable gap in the roof of the mouth. Thankfully, surgery is available to correct these issues safely and successfully here in St. Louis. For cleft palate surgery, Dr. Moreland will repair the palate’s structure and ensure the proper amount of function, reconnecting muscles as needed. For cleft lip surgery, he will close the separation and create a normal shape for the mouth while also repairing muscle function. Do you regularly grind and clench your teeth? Do you have frequent headaches/neckaches? Is it difficult and/or painful to fully open your mouth or chew food? Does your jaw constantly make clicking or popping sounds? If so, consider scheduling a consultation with Dr. Moreland. 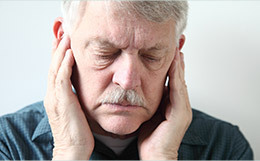 There are various treatment methods available that can bring back the full function and harmony of your jaw, relieving chronic pain in the process.